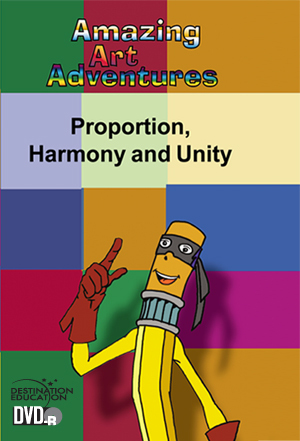 This program discusses proportion, unity, and harmony theory along with showing different types of proportion, unity, and harmony. The artist discusses proportions and how he creates his bronze sculptures. He first shows us his clay model and talks about basic measurements, movement, line, illusion, and details.